Hey guys! Back again with August’s guest blog post over at Bitte, a small batch and artisan children’s online store that offers clothing and toys that are unique and built to last. 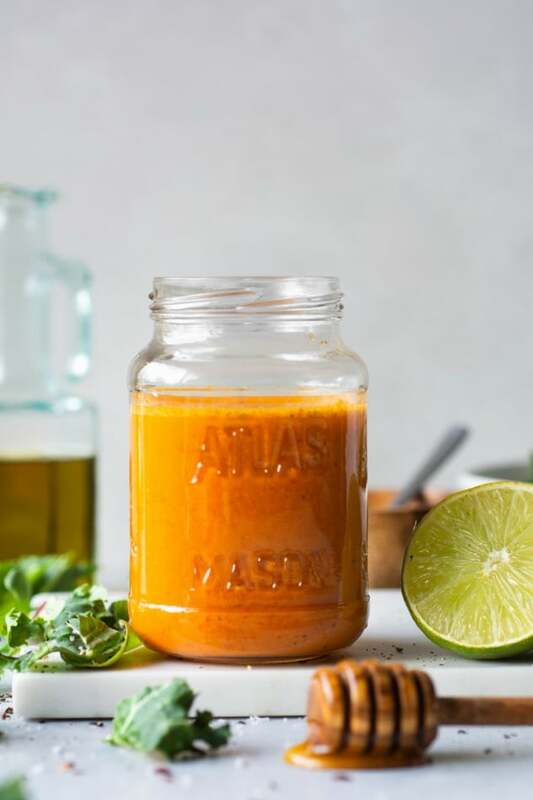 Run by mother and daughter duo, Maia McDonald Smith and Sara McDonald, their store and blog embody many similar values as Nyssa’s Kitchen, and I’m thrilled to be connecting with their audience. I’m also incredibly excited for you to explore their beautiful and sustainable goods – their shop is always the first place I look for gifts for little ones, and I think you’ll see why when you check them out! 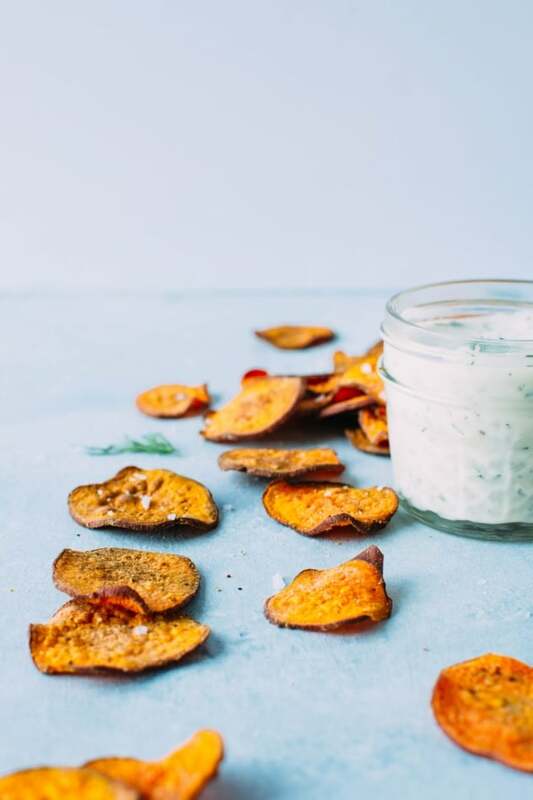 Today I’ll be sharing a recipe for oven baked sweet potato chips with dairy free ranch dip.. Continue reading for the first part of the post, and then click the link below to get the full recipe on their blog! Anyone else always game for a new and healthy make at home snack? 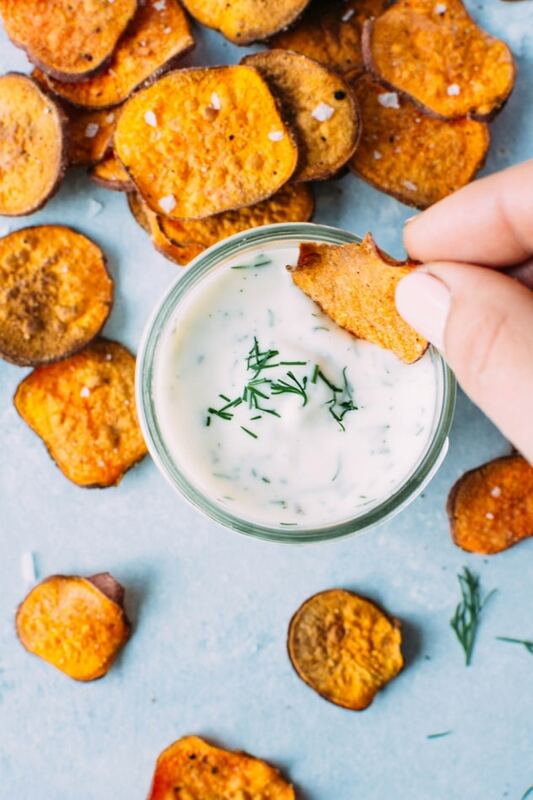 If so, this post for oven baked sweet potato chips with dairy free ranch dip is made for YOU! I will be the first to admit that I have something of an addiction to chips. Yep. They are definitely what I would consider to be my “snack vice”. One of those things that you just don’t keep in the house unless you’re prepared for the inevitable gravitational pull to the cupboard. I have switched gears over the last several years to a more (ahem) “healthier” variety – if you can actually ever call chips that. Think red and purple potatoes fried in either avocado or coconut oil – thus avoiding all the junky oils that chips are usually fried in. Not to mention all the other no bueno ingredients that are in all the bags that line an ENTIRE AISLE at the grocery store. Guess I’m not the only one with a weak spot for the crunchy salty fix. 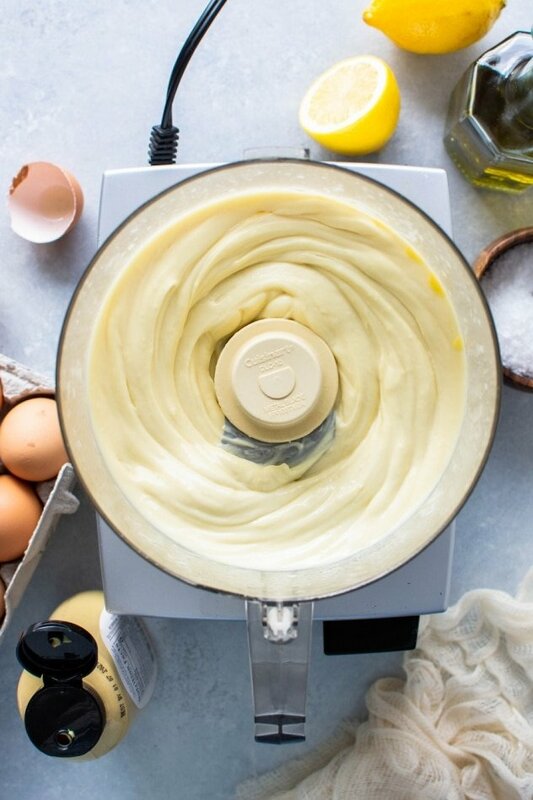 Which, when you think about it really is a brilliant way of allowing you and your family to indulge in some of the treats you love, by making healthier versions of them, and without getting sucked into the convenience of these foods that are so prevalent in our food culture. 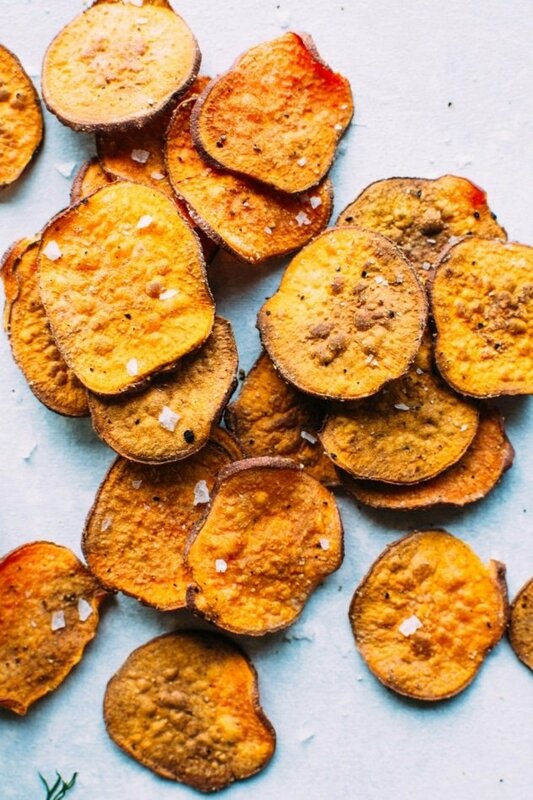 So with this philosophy in mind, I decided to forgo the packaged chip purchase and instead continue my pursuit of anti-oxidant rich, anti-inflammatory, blood sugar regulating, crispy sweet potato GOODNESS. I knew from past experience that achieving crispy sweet potato nirvana is not an easy task. But sometimes, when things don’t turn out right the first time, you just have to research, try again (and again… and again… ) until you find success. 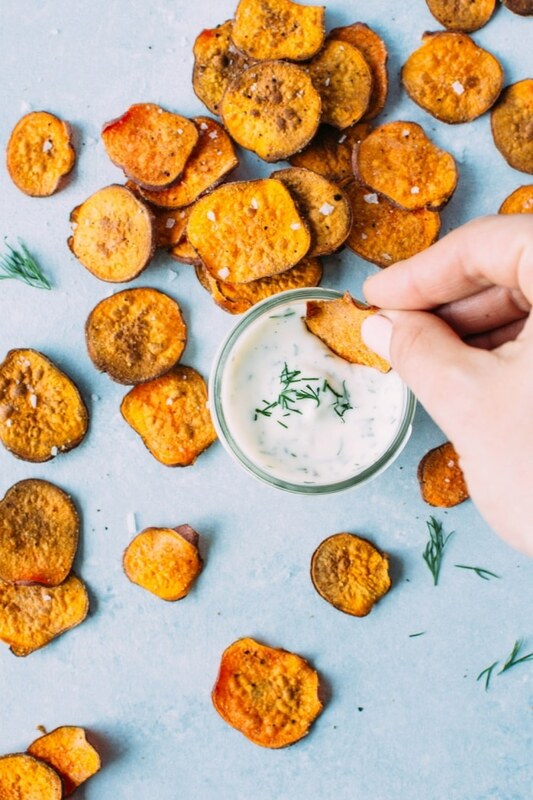 Oven baked sweet potato chips are definitely worth getting right. The biggest challenge with baked sweet potato chips is getting them to cook evenly and crisp up before they burn. Slice the sweet potatoes as thinly and as uniformly as possible. Shoot for a goal thickness of about 1/8 of an inch. You can do this step with a sharp knife, however I found that no matter how good your knife skills are, you’ll probably end up with quite a bit of size variance – which means the chips will be ready at different times, and may not end up cooking evenly (i.e. : the thinner side of a slice burns before the thicker side has a chance to get crispy). The absolute best way that I found to get even and THIN slices is to use a mandoline. I use and LOVE a version of this one. Mine is a little bit older than this model but it’s essentially the same thing. If you don’t have one, don’t sweat it, just keep your hand as steady as possible. If you decide to use a knife, stabilize the sweet potato by slicing just a very little bit off the length of the bottom – this way the potato will sit still on the cutting board while you slice away. 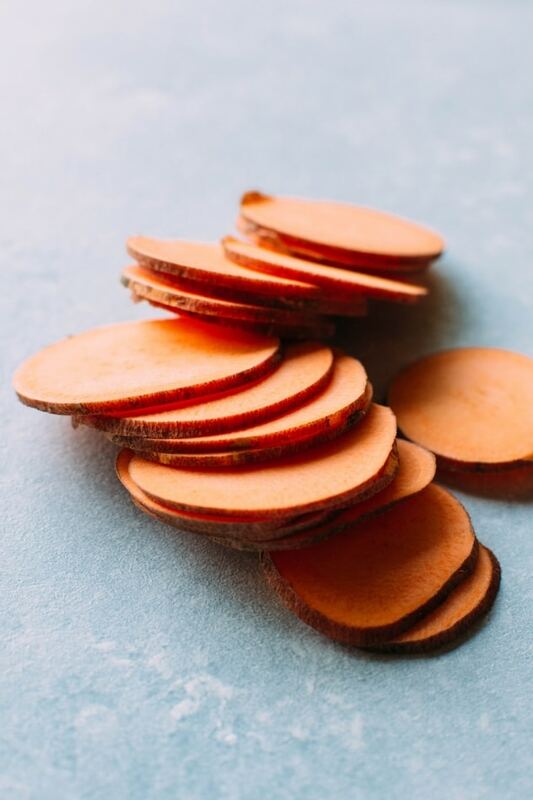 Soak the sweet potato slices in water for 30 minutes to an hour to release some of the extra starches that can prevent them from crisping up. Make sure they are completely dry before coating with oil and baking. Line your baking sheet with tinfoil and brush with a small amount of oil to promote crisping and prevent sticking. Toss slices with only just enough oil. This will help them crisp and dry up at the same time for the perfect crunchy bite. 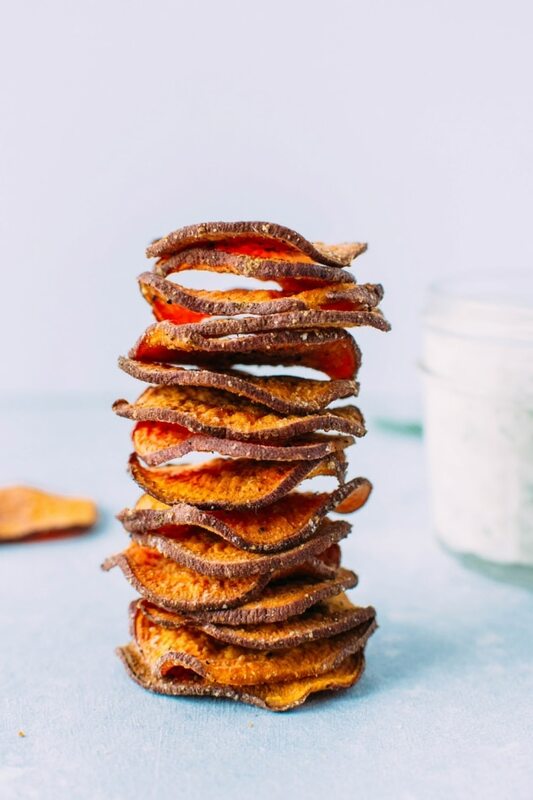 That might sound like a lot of information for just a sweet potato chip – but after spending a gazillion hours baking and researching them, I feel like I owe you a distillation of everything I learned along the way. And it is true that these chips are a fair amount of work to make – not something that you would make a large quantity of. Probably just enough to tuck a few into the kiddo’s lunches during the week, or share as a family for movie night. 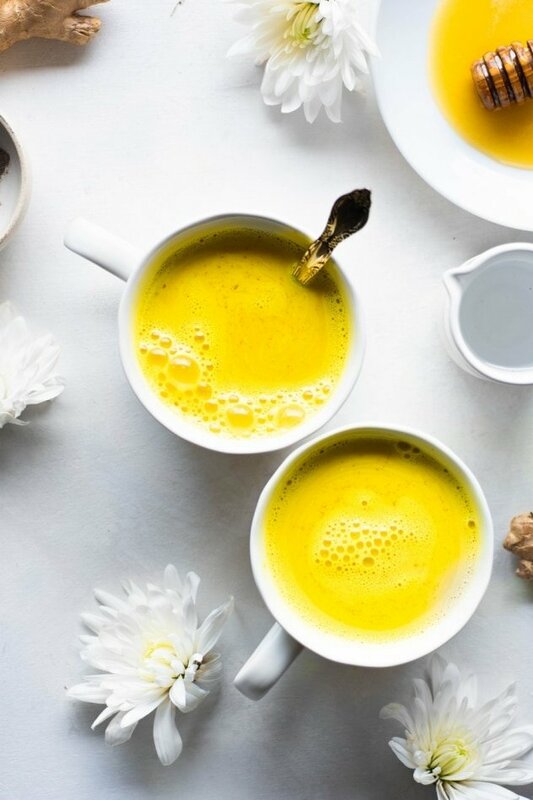 Only simple, nourishing ingredients go in (ALL THE HEALTHY FATS! ), so you can feel good about sharing this much loved (and often equated with unhealthy) sauce with the whole fam-bamly. PLUS! When you pair healthy fats with a beta-carotene rich food such as sweet potatoes, you significantly increase your absorption. Which translates to a very good reason to dip things in ranch dressing. Which will undoubtedly make just about anyone happy. 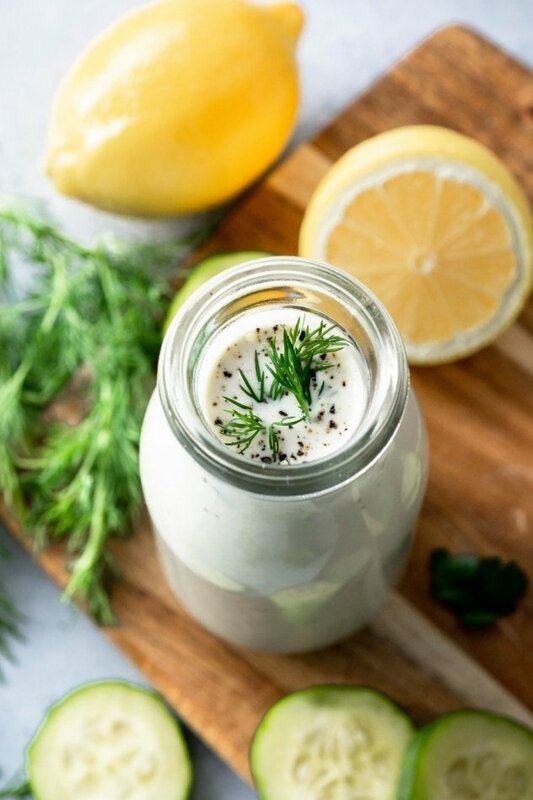 The recipe below will produce a thicker ranch dressing, if you want to thin it out you can easily do so by whisking in a little bit of water at a time until you reach the desired consistency. My advice to you when making these chips is to approach the recipe with patience, and read the instructions carefully before you begin. If you have any questions to be a stranger – reach out to me via email or on social media and ask away! Thanks for reading and here’s to taking the time to savor the things you love the most! click here to head over to the bitte blog for the rest of the blog post and the recipe! 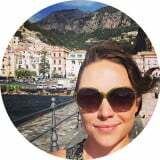 This entry was posted in snacks and tagged chips, dairy free, dill, game day, gluten free, healthy, paleo, ranch, ranch dip, ranch dressing, snacks, sweet potato chips, sweet potatoes, whole30 on August 24, 2017 by Nyssa Tanner. Thank you!! These were great! We had them as a side at dinner and they were gone before we knew it! Thanks so much, Stine! Your blog is lovely, as well 🙂 Your guacamole looks INSANELY good!